Mayor Teresa Jacobs received the 2016 Wind Beneath My Wings Award at the Orlando Republican Women’s Network Gala on Sept. 10. 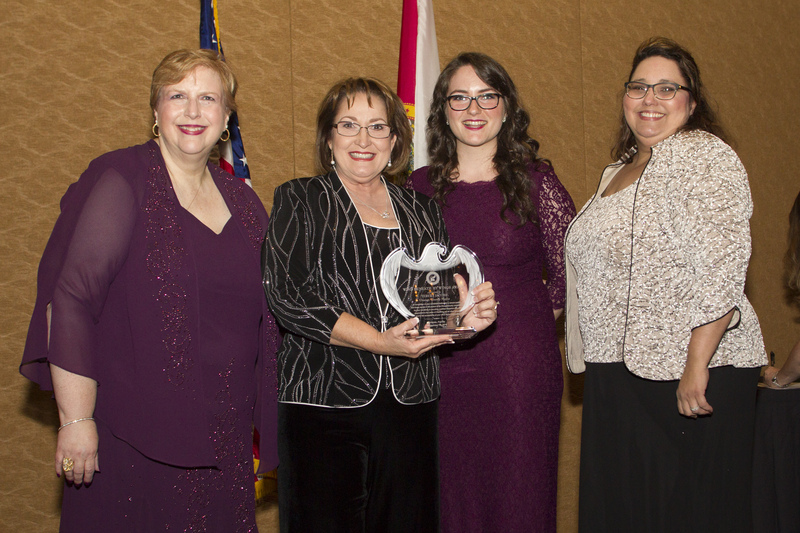 Orange County Mayor Teresa Jacobs was honored at the Orlando Republican Women’s Network Gala with the 2016 Wind Beneath My Wings Award on Sept. 10 at the Rosen Centre Hotel on International Drive. Several community leaders joined in the celebratory ceremony as Mayor Jacobs accepted the award. Guests included State Rep. Bob Cortes, State Rep. Rene “Coach P” Plasencia and Orange County District 3 Commissioner Pete Clarke. Mayor Jacobs led the Pledge of Allegiance during the gala and a moment of silence was held to remember the victims of the September 11 attacks and fallen war heroes. In recognition of National Hispanic Awareness Month, community leaders of Hispanic descent were also honored and recognized for their contributions in Central Florida. Established in 1924, the Orlando Republican Women’s Network is the oldest women’s political organization in the state of Florida. The group strives to create a political network of women who work to expand the Republican base in Orlando by promoting the recruitment and election of Republicans to local, state and national political offices. To view photos from the Orlando Republican Women’s Network Gala, visit Mayor Jacobs’ Flickr album.